Dan Boylan at the Washington Times offers a piece on the WWII OSS receiving the Congressional Gold Medal. The Congressional Gold Medal, the nation’s highest civilian distinction, was awarded on Wednesday to veterans of the Office of Strategic Services, the World War II intelligence agency and CIA predecessor. 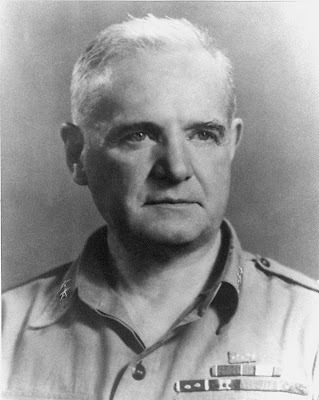 Created in 1942 by the legendary General William ‘Wild Bill’ Donovan (seen in the below photo) to coordinate American intelligence efforts, in its heyday the OSS deployed more than 13,000 operatives, a third of them women, in addition to four future CIA directors. 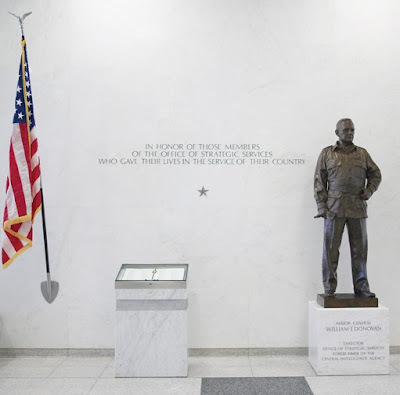 Mr. Donovan’s statue now stands outside CIA headquarters in Virginia (photo above) and the OSS is widely recognized for playing a major role in the creation of the CIA and formation of the Army Green Berets and Navy Seals.